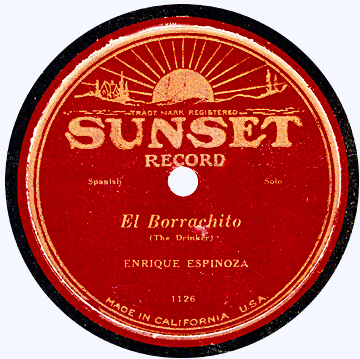 The Edison Tone Tests were highly popular marketing events at which invited guests were challenged to distinguish live performances from the “Re-Created” versions as performed by the Diamond Disc phonograph. The events were rigged by various means, despite Edison’s vigorous denials, including the surreptitious substitution of special records and reproducers (the latter confirmed in some surviving correspondence between the company and singer Vernon Dalhart). Artists were also carefully coached to match their tone and volume to that of the recordings to which they would be compared. You can find a detailed history of the Tone Tests in A Phonograph in Every Home, available from Mainspring Press and many major libraries. Below is a copy of a typical 1920 artist’s Tone Test contract, for Cecil Arden, which we recently found among Ray Wile’s materials in the Bill Bryant papers. Many of Arden’s recordings were flagged “For Tone Test” in the Edison files, and several appear to have been made expressly for that purpose. In Arden’s case, payment probably was on the skimpy side, since she* earned $36.25 to $40 per song for her studio work (per the studio cash books), without all the rigors of travel and rehearsal that the Tone Tests entailed. * Oops! We said “he” / “her” in the initial post. Many thanks to old friend George Sweeny for spotting the mistake, and sending along a photo to confirm. Obviously, we’ve never heard a Cecil Arden recording! Our thanks to John Bolig, the ultimate Victor expert, for use of this rare original. We just opened our last carton of Paul Charosh’s Berliner Gramophone Records in America: A Discography. We won’t be reprinting or producing an updated edition once these copies are gone. Quantities are very limited. Order soon from the Mainspring Press website to avoid missing out! Just a reminder — Mainspring is in the process of phasing out its discography line, and we’re already running low on many titles, none of which will be reprinted once current inventory is sold. If you’re interested in a particular title, best to buy soon! We’re down to our last carton of Alex van der Tuuk’s classic Paramount’s Rise and Fall (Revised & Expanded Edition) and won’t be printing any further copies or producing a third edition. New sealed copies can still be ordered from the Mainspring Press website, while supplies last — and unlike the good folks at Amazon, we won’t charge you $109! Some additional Paramount ads, from the Mainspring Press reference collection. If you enjoy these, be sure to check out Race Records and the American Recording Industry: An Illustrated History, 1919-1945, also available from Mainspring Press.